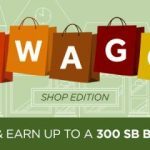 Earn more SB with Swago Shopping Edition! You are here: Home / Making Money Monday / Earn more SB with Swago Shopping Edition! It’s time for another round of SWAGO, and this board is all about shopping! What is SWAGO you ask? It’s a bingo-inspired promotion run by Swagbucks, a website that rewards you with points (called SB) for completing everyday online activities. You can redeem those SB for free gift cards. 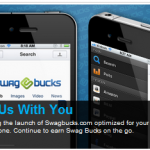 If you’ve never used Swagbucks, participating in SWAGO is a great introduction to the site. Plus, if you have to buy holiday gifts, might as well get an extra SB bonus for yourself, right? 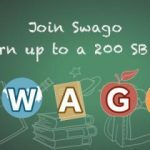 Earn extra Swagbucks with SWAGO Shop Edition! 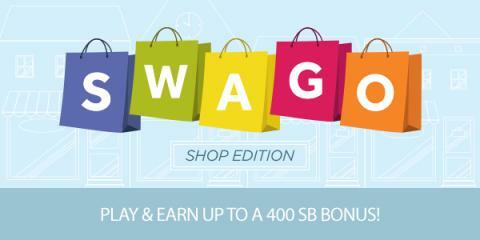 Get extra SB with Swago Shoping Edition! Earn more gift cards with Swago: Winter Wonderland! 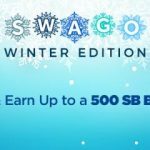 Earn extra Swagbucks with Swago: Shopping Edition!